Combining evidence-based physiotherapy with the whole body benefits of pilates, yoga and functional strengthening.  Womankind offers a holistic way of improving women’s health and wellness. A fully mobile service across Dorset. We come to you! Womankind is the proud provider of the Mummy MOT in Dorset. The Mummy MOT is a detailed postnatal physiotherapy assessment of the abdominal and pelvic area. Checking posture, breathing, tummy gap and pelvic floor strength. WomanKind offers a holistic way of supporting you throughout every stage of a woman’s life. Through private consultations and group pilates classes, we strive to provide a service tailored to meet your specific needs. The MummyMOT® is a postnatal detailed physiotherapy assessment of the abdominal and pelvic area. It will check your posture, breathing, tummy gap and pelvic floor strength. You will receive a report of the findings on the day. Following the assessment, an appropriate safe exercise programme will be prescribed. The MummyMOT System combines the principles of Physiotherapy assessment with the practice of functional retraining. Following delivery postural changes, muscle imbalances and altered alignment occur and persist. It is important to correct and rebalance in order to prevent and resolve such issues as pain, prolapse, incontinence and abdominal separation. The System uses Swiss balls, rollers and theraband to help activate the important stabilising muscles. Proprioception and breath work are incorporated. The Mummy MOT is suitable during pregnancy and then from 6 weeks postnatal. However, it is never too late! Pelvic Floor strength and tummy check. Assessment of any physical problems arising from pregnancy and birth. A bespoke postnatal recovery programme according to your lifestyle and fitness goals. A written report of your assessment findings. Will I be given treatment on my first session? Generally the first session is for an assessment only. Your physiotherapist will provide a report of findings and treatment plan/ advice for how to resolve your problem and what further physiotherapy will be required. I am pregnant and have pain in my pelvis. Can you help? Often women complain of pain in their pelvis during pregnancy which can make general day to day activity very difficult. Physiotherapy is very effective for pelvic and back pain in pregnancy. When can I begin running after I have had my baby? Everyone’s post-natal recovery is different and we suggest booking a Mummy MOT if you have concerns about returning to running after having your baby. Running and high impact exercise can be problematic for the pelvic floor muscles and therefore it is best to see a physiotherapist prior to beginning again. I had my baby over 5 years ago. Is it too late? It is never to late to have physiotherapy and as mothers we often find it hard to invest in our own health in the early days of motherhood. You will never regret getting help to resolve your pelvic issues and physiotherapy is effective at any point post-natally be it 12 weeks or 12 years! Is it normal to leak when I cough or sneeze? This is a frequent complaint for women but it does not mean that it is normal. This is something that can be resolved with pelvic physiotherapy and functional strengthening. Do I need to have an internal examination? No, this is not a necessity. Depending on the results of your clinical examination, your physiotherapist may suggest an internal examination. We appreciate that this can cause some anxiety therefore it is never an obligation. Before the examination we will always explain exactly what we are doing and if anything is too uncomfortable or you wish to stop at any point then we will. This class is designed to include pilates and functional strengthening to ensure your best health and fitness throughout pregnancy. 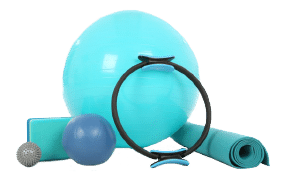 You will learn how to connect with your pelvic floor to help access your core strength which helps to prevent back and pelvis pain and to assist your post-natal recovery. We include stretching exercises to relax and ease discomfort in the body. We look at exercises which aid optimal foetal positioning, help to prepare you for labour and to encourage a shorter birth. Our weekly 60 min Bump to Birth Pregnancy Classes are held on Tuesdays at 6:30pm at The Pure Chill Studio, Whitecliff, Poole, BH14 8BL – Booking essential. We also offer private consultations. To find out more about these or any of our classes please email lois@womankindhealth.co.uk or phone 07990 827 693. This class can begin from 6-8 weeks postnatally following your check up with your GP. It is suitable for mums and babies up to crawling age. 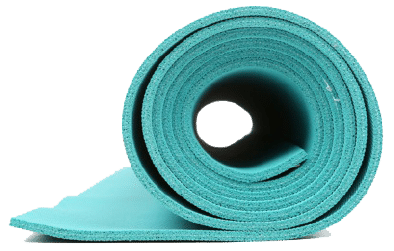 The class is designed to help you reconnect with your pelvic floor and core muscles safely following pregnancy. The class guides you through progressive strengthening exercises so that you can return to your normal activities with confidence. Our weekly 60 min Postnatal & Pelvic Health Classes are held on Mondays at 11:00am at the Images Gym, Ashley Cross, Poole, BH14 0JY – Booking Essential. We also offer private consultations. To find out more about these or for further information about any of our classes, please email lois@womankindhealth.co.uk or phone on 07990 827 693. Are you looking for a more holistic, whole-body approach to resolving your health issues? Physiotherapy, Pilates and Yoga can help you regain movement, reduce pain and improve function in a variety of conditions affecting women. Lois is a Chartered Physiotherapist with over 10 years musculoskeletal experience within the NHS and private healthcare. She is trained in clinical pilates through the Australia Physiotherapy and Pilates Insititue and a qualified Yoga Medicine Teacher. 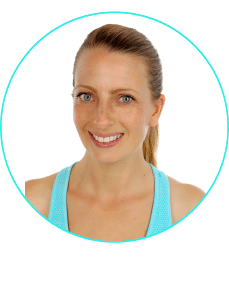 She specialises in Women’s Wellness helping women through each stage of her life through pregnancy and postnatal pilates classes and as a provider of the The Mummy MOT, a detailed postnatal physiotherapy assessment following childbirth. She see’s clients on a 1:2:1 basis in the comfort of their own homes or in a clinical environment for a variety of conditions such as pelvic girdle pain, back pain neck pain, abdominal seperation, pelvic floor weakness, scoliosis, osteoporosis, chronic pain and other issues women may encounter. For more information about how WomanKind can help you please do get in touch by using our quick and easy online contact form. Copyright 2017 WomanKind. Website designed by Tiny Tiger.